Do not miss the opportunity to save. 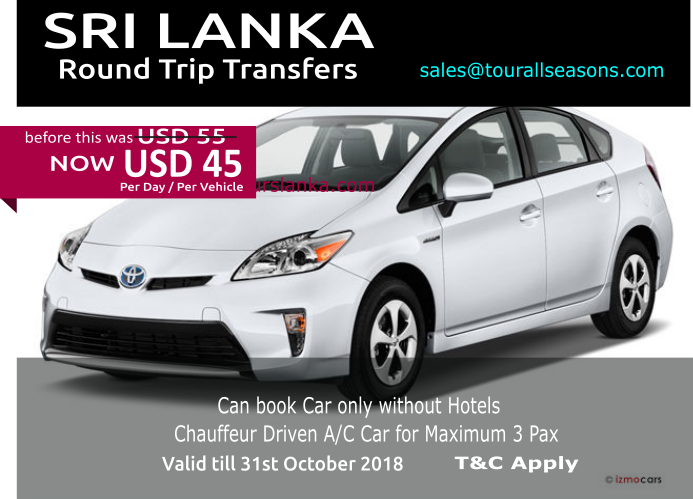 Book Round Trip Transfers only, without Hotel Bookings. Itinerary designed by you or select from what is available with us. Book the Vehicle and Enjoy your Tour. 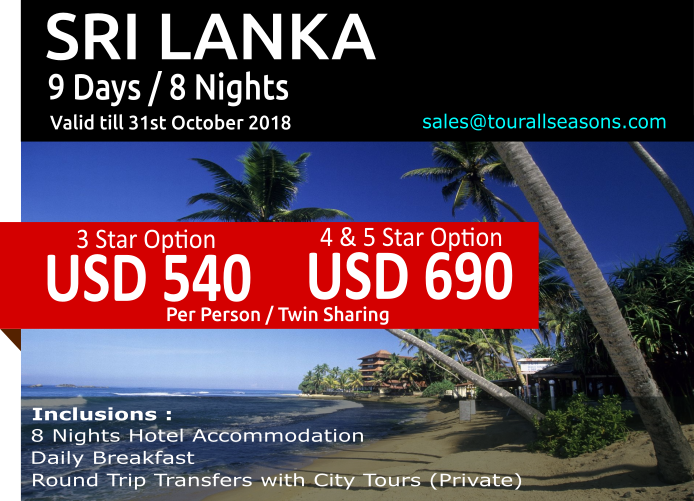 The route is commonly used by most of the visitors who travel to Sri Lanka mainly to enjoy the scenic beauty and climatic condition with Beach stay at South Western Beaches. This tour program will cover almost every shopping places of Greater Colombo. Guest can get a greater shopping experience and visit all major hot spots in the capital during this short stay tour. 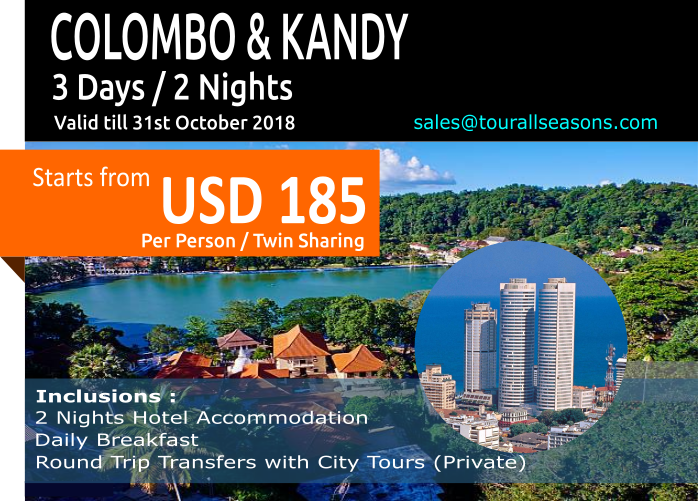 Kandy and Colombo combined together gives the perfect blend for a Sri Lankan Short stay Tour. This tour covers most of the sightseeing and activities within a short time period including City Tours and Shopping. This is a very Economical Tour because 4 Main Destinations will be covered just within 4 Days. 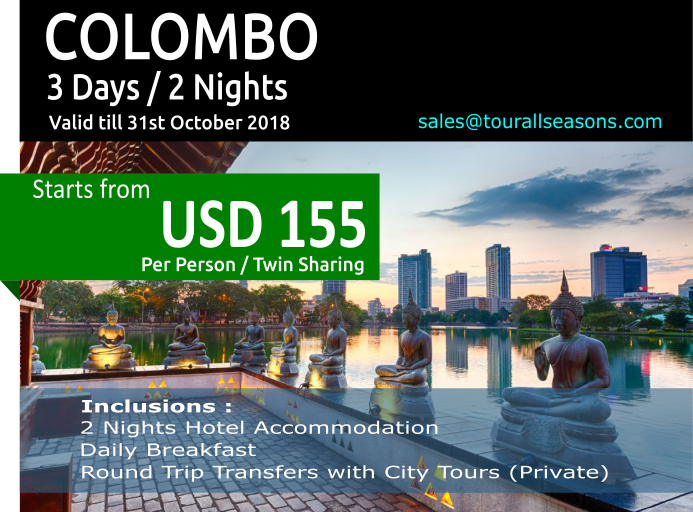 Hill Country, Down South Beach and Capital Colombo with Galle City is best tour for a family or a group who wish to get an economical tour in Sri Lanka. Transfer to Airport for Departure Flight via Colombo. City tour is done as per time availability. 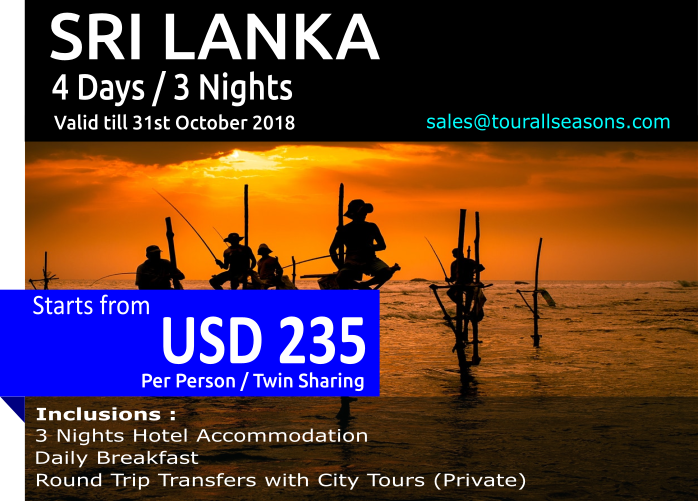 All Seasons Tour Management Ltd is an Inbound & Outbound Tour and Destination Management Company based in Sri Lanka for Sri Lanka, Maldives and other major Worldwide Destinations.